How Much Does a Colour or Mono Photocopier Cost? Purchasing a business photocopier is a daunting task. After all, with so many models to choose from, as well as varying price points, there’s a lot of fine print to read. Fortunately, the market is competitive when it comes to photocopiers, regardless of features so that you can find the machine with the most benefits for your business and your expense account. In this guide, you’ll find out what you need to know about business photocopiers, including the types of photocopiers available and costs. How Much Does a Photocopier Cost? Just as not all prices are the same, not all copiers offer the same benefits to users. Often, you will find that the more expensive photocopiers have dual features that can make daily business easier. Since their inception, copiers have come a long way and now rely on sophisticated technology to make your office tasks more manageable. An entry-level photocopier is what most people have in their homes, and these basic models are the slowest and least efficient type of machine. A low page-per-minute rate means you may be waiting around for the print job to finish. However, a basic mono photocopier is relatively cheap, costing as little as £70. Therefore, some businesses may choose to rely on a lower-cost machine to save money. The problem with that is you sacrifice print quality and speed in favour of lower prices, which doesn’t always save you money as you’re giving up efficiency. You may see these types of copiers with the “inkjet printer” label, with “mono” meaning they only print in black and white. 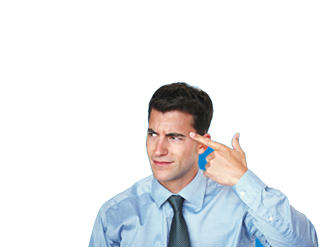 Often, ink cartridges can prove expensive, especially if your pages-per-toner ratio is low. Quality ink can also cost more than the price of the photocopier itself, even if all you need is black toner. For people who work from home or for those who only need to print or copy a few pages per day, a basic photocopier may fulfil your essential business needs. But for larger companies that need to print hundreds or more pages per day, a basic copier will prove inefficient. While most photocopiers tend to offer colour printing as a standard, not all do. And although many companies don’t require colour printing in day-to-day business, it’s a costlier feature for those that do. There is a substantial cost difference between basic mono photocopiers and basic colour photocopiers. Plus, there is a large range of copiers that offer colour printing alongside other features. If your business needs only include photocopying colour and black and white documents, a colour photocopier with few features will take care of the basics. However, if you’re also looking for faster page-per-minute speeds plus other time-saving benefits and extra features, you can expect to pay upwards of £4,000 for a full-colour business copier. In general, the more expensive the copier, the higher quality the images. This is an important consideration for businesses that need to photocopy images or other content that needs to transmit crisply. In addition to colour and black and white photocopying, multi-function photocopiers can also send faxes, emails, upload scans, and even finish papers with staples or folding. Depending on the size of your business and its printing needs, a multi-function photocopier may perform tasks that no longer require an employee to oversee. When you consider how much money you’ll save with automated features, the cost of a multi-function photocopier does not seem so high. Higher level photocopiers can also process more pages per minute, adding to the efficiency of your business operations. If you routinely assign folding, stapling, and hole-punching tasks to employees, or if you need to transmit digital copies of documents, a multi-function photocopier may prove the ideal machine. A few years ago, around 85 per cent of companies indicated that they used multifunction photocopying devices in the workplace. A high-performance photocopier addresses the needs of larger businesses that require daily photocopying along with other features. 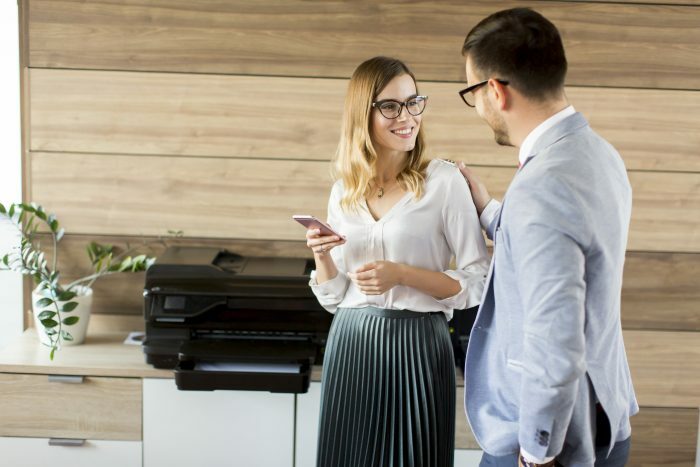 Many high-performance models print copies faster than lower-level models plus include benefits such as wireless connectivity and fax options. However, a high-performance photocopier that can accommodate a high volume of copies per day will cost substantially more than a basic small business machine. These performance machines often require routine maintenance as well. But overall, if your business relies on daily photocopying to meet business needs, investing in a high-performance copier may be a prudent business decision. Plus, benefits such as electronic document storage and transmission can help streamline documentation and photocopying processes. For businesses with extremely high photocopying needs each day, an industrial photocopier will provide the functions you need. The most advanced (and expensive) industrial photocopiers can cost up to £100,000 and are common primarily in the print industry. If your business needs to print a high volume of professional images or other paperwork, consider an industrial photocopier to avoid outsourcing print work. Although these machines are the most expensive, if you often outsource photocopying, it may be worth the cost. Many UK companies have no idea how much they spend on printing. And while you can purchase a basic photocopier for relatively cheap, that doesn’t mean you’re getting the best value for your money. You can use ExpertSure to compare prices, but first, you’ll need to know what features to look for, how much leasing costs versus outright purchase, and what costs your photocopier may incur over its lifespan. All photocopiers can make copies, but the similarities end there. A basic photocopier may use black ink only and provide rudimentary copying and printing capabilities. A colour photocopier performs the same, with the ability to use pigment to create colour printed pages. Additional features such as scanning and faxing offer your business better connectivity for transferring documents. Plus, newer models incorporate Wi-Fi connections to link all your business computers to one photocopier. This streamlines your ability to make copies. Many photocopier machines can also send emails and convert documents into various file types. Larger machines, such as industrial photocopiers, can even deliver automatic binding and image editing capabilities. If that’s not enough, some machines also automatically punch holes on each sheet of paper or staple sheets together in a specific order. Keep in mind, however, that the more features you need, the higher the potential cost of your photocopier. Many companies offer leasing arrangements with businesses to make photocopier ownership more accessible. If your business can afford a monthly payment, you can often contract a service provider to deliver and maintain a photocopier for the life of the lease. Alternatively, you can purchase a machine outright. But depending on the features you need and the output you desire from your photocopier, buying a device may prove more difficult than obtaining a lease. Plus, when you purchase a photocopier, you are often responsible for its maintenance and repair. Business owners must weigh the costs of ownership and maintenance with the amount they would pay for a lease that includes repairs and service. Leasing can cost anywhere from £25 to hundreds of pounds per month. You can also compare pricing with ExpertSure to find the lowest cost and the best service for your money. Conversely, consider how expensive outsourcing printing and photocopying can be. You may be able to reduce your overall printing costs by copying documents in-house. Because photocopiers have many moving parts, equipment failures are often part of life. While you can easily replace a lower cost model, you may wind up spending more over time versus purchasing a machine with a higher up-front cost. In addition to replacing the toner cartridges in the machine, your photocopier may also require a computer license to connect with workplace machines, drum cartridge replacement every few years, and refills for items like staples or binding materials. If the machine has internet connectivity, there are also software and hardware factors to look at. Depending on your network capabilities, a new photocopier may require equipment or service upgrades to work properly with your existing business computers. If you are unable to perform routine maintenance and equipment checks on your business’s photocopiers, contracting with an outside service can help keep the machines in good working condition. Consider this into the overall cost of photocopier ownership as well. With a mono photocopier, your primary cost will be black toner. With a colour photocopier, you will also need a colour cartridge in addition to the black. For both types of photocopiers and at all performance levels, these machines also use other consumables. All photocopiers require paper, but many can print on multiple sizes. Between standard letter sizing and other options like legal paper, envelopes, and labels, you may need to invest in more supplies than you expect. Further, some photocopiers may require a specific grade or thickness of paper to create the best photocopies. Plus, photocopiers that offer to bind with staples or other equipment will also require refills. Often, they will need a brand- or function-specific replacements. All these additions can increase the overall cost of photocopier ownership and maintenance. However, many lease programs factor those costs into your overall payment. Meaning, there may not be extra charges for regular refilling and adjustments. Did you know that printing is the third highest business operating expense? When you consider that photocopying ties up many of your company’s resources. It’s worth considering a more efficient and inexpensive option than low-performing or outdated copiers. Other office printing statistics highlight companies’ paper and ink usage. For example, the typical office worker prints 10,000 pages per year. Depending on your company size, you may be printing hundreds of thousands of pages per year. Also, 40 to 60 per cent of Information Technology help desk calls are photocopier-related. That means you may benefit from signing up for a maintenance plan for your photocopier. Especially if you don’t have an IT department. Whether you buy a bare-bones photocopier for mono printing only or invest in a full-colour and Wi-Fi-enabled machine, be sure it will meet your organisation’s output and transmission requirements. Use ExpertSure to compare prices before selecting your new photocopier, and keep in mind what your company’s needs are before you sign a contract or pay a delivery invoice. Who Else Wants a Top Photocopier Quote?